PRICE REDUCTION!! 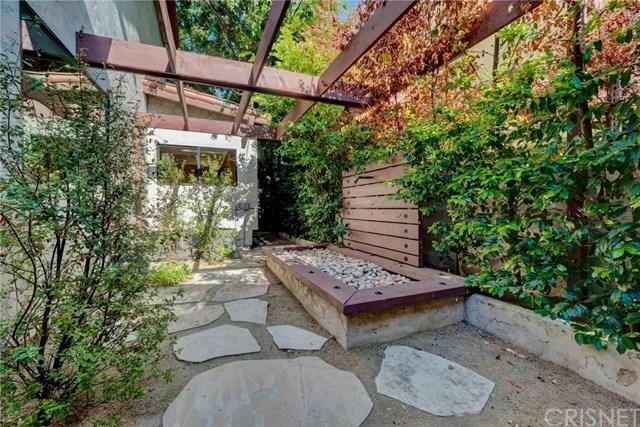 Tucked away in the desirable neighborhood of Valley Village, this brand new, Contemporary Mediterranean style home offers timeless & updated living in a lovely gated private compound. 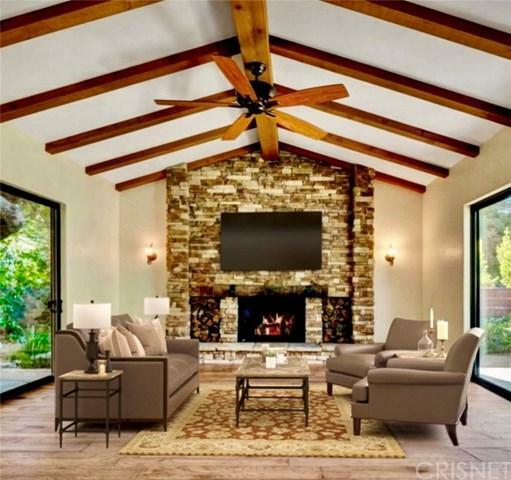 The entry and living room open to an expansive vaulted wood-beamed ceiling. A stone wall features a fireplace with custom wood mantle, limestone hearth & antique bronze fixtures, giving the home its Old World charm with the freshness of solid new construction. Vintage style hickory hardwood planks weave their way throughout the entire 4 bed and 4 baths, totaling approximately 3310 sf. The family room opens up to the chef's kitchen complete with large center island, granite counters, custom cabinets, and Kitchen Aide & LG appliances. There is a detached garage of approximately 260 sf that can also be used as a bonus room, gym, office, or studio. Tasteful landscaping adorns the large stone paver patio which features a fountain and built-in gas barbeque, great for entertaining. Parking is abundant with the two-car garage and 2-3 additional parking spaces inside the gated compound. Mature trees & grown-in lush, yet low water vegetation surround the new property giving the impression that the home has +G-been there for decades+GG. 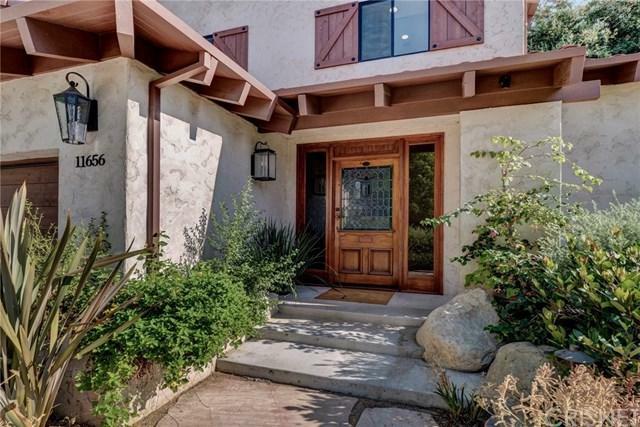 This lovely home is close to Radford Studios, Warner Studios, NBC/Universal Studios, private schools, shopping & freeways. Located in the coveted Colfax Charter School District. Located on the corner of Colfax & La Maida.Owner prefers a 2 year lease.